Four of the teams have decided to enter partnerships to put forward the bids. The fifth decided to go it alone. Kevin Gutknecht, a spokesman for the Minnesota Department of Transportation, says MnDOT selected all five teams that expressed interest in applying for the job. Gutknecht says MnDOT will meet privately with each company Friday to discuss specifics. "They're five very good companies, and we want to make sure that we have the best that we can to build the project," said Gutknecht. While some have estimated the cost of rebuilding the bridge at $250 million or more, Gutknecht wouldn't speculate on the final pricetag. He said cost estimates probably won't come out until after the contractors do their planning. Gutknecht said the companies will then come up with the design and cost estimates for the rebuild. 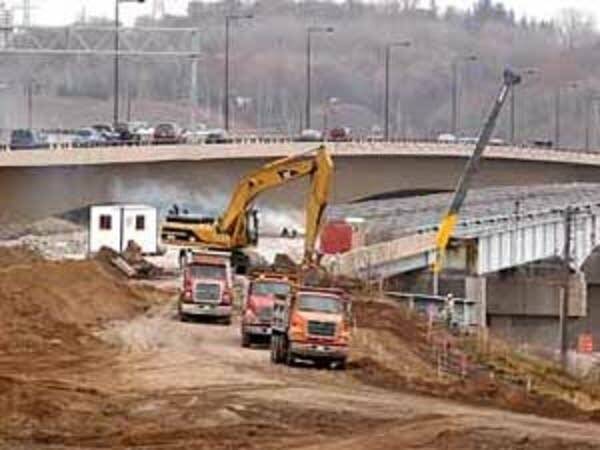 "That will probably take two or three weeks, and then we will evaluate those proposals and select to be the contractor or company to build the new I-35W bridge. We hope to have that company in place by mid-September," said Gutknecht. *KTM Constructors, led by Nebraska-based Kiewitt Corp. That company boasts on its Web site of building more "lane miles of interstate, highways and bridges" than any other company. An official with the company declined comment but referenced the Web site, which listed 14 bridge projects, including bridges in New Orleans, Biloxi and Florida. *Flatiron, based in Colorado. An official with Flatiron said designers were enroute to the Twin Cities and would be unable to comment. That company's Web site says Flatiron is rebuilding a Florida bridge destroyed by Hurricane Ivan in 2004. *C.S. McCrossan of Maple Grove, which is best known for its work on the Hiawatha light rail line, is the only company applying on its own. Company officials did not return calls for this report. *Walsh Construction of Chicago is the fifth bidder. Walsh's Web site says it is rebuilding a 1.9-mile long bridge in Mississippi that was destroyed by Hurricane Katrina. An official with Walsh declined comment, except to say that they appreciate making the final five. *Ames Construction, based in Burnsville, is partnering with Wisconsin-based Lunda Construction, according to Butch Trebesch of Ames. Those two companies, along with a third, are currently working on the Crosstown Highway reconstruction project. Trebesch says Ames and Lunda have done plenty of work with MnDOT over several decades. "To do something like this, this fast, and do it all is unbelievable," said Trebesch. "It's quite a challenge in front of us. We like challenges and this is definitely a challenge." One potential drawback for that partnership is that MnDOT and Lunda officials have been at odds over the construction of the I-494 Wakota bridge over the Mississippi River. MnDOT dismissed Lunda from the project late last year after they couldn't agree on a price to fix the bridge. The Wakota bridge project was delayed after inspectors found cracks in the bridge that were a result of the design, which was done by a separate company. Dave Semerad with the Associated General Contractors of Minnesota says all five companies are well known, and are skilled at doing large projects. He said there may be so many bidders because there has been a slowdown in the marketplace. "There's simply not that much work going on," said Semerad. "The number of contractors that are available to perform on this project is such that they can respond to a project like this quickly, and put together their teams quickly." Semerad said it will be interesting to see the designs put forward by each team. He said they will all put forward their own creative solutions to rebuilding the bridge. Gov. 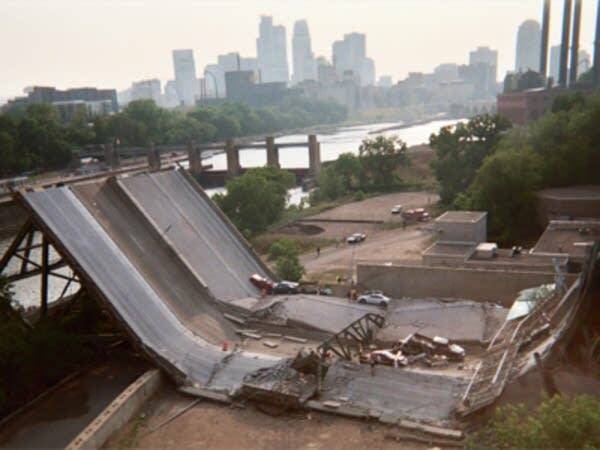 Pawlenty and Minneapolis Mayor R.T. Rybak have said they would like the bridge to be wide enough to carry 10 lanes of traffic, compared to eight lanes on the old bridge. Rybak says he would like some accommodation for transit. They hope the bridge is built by the end of next year, and will offer incentives if the bridge is finished earlier.